SOUTHERN UTAH – With the Zika virus prominent in news reports and the first Zika-related death in the country occurring in Utah recently, what do you need to know to keep your family safe? The Salt Lake County Health Department announced today that an elderly county resident infected with the Zika virus died in late June. The individual had an underlying health condition and had traveled to an area of the world where mosquitoes are known to spread Zika virus. After the announcement, Utah Congressman Chris Stewart expressed frustration towards Democrats in the U.S. Senate, who recently blocked an attempt to pass legislation funding the fight against the Zika virus. Despite Southern Utah’s arid climate, it is home to mosquitoes – and some of them carry disease. Southern Nevada health officials have reported several cases of the Zika virus this year and West Nile virus has been detected in Washington County mosquitoes in recent years. Clark County, Nevada, is seeing an increase in St. Louis Encephalitis-positive mosquitoes. Being informed about mosquito risks and prevention is important for the public, he said. The district runs regular routes throughout the county, checking for mosquito larvae in all the places standing water is known to occur and then treating the source of infestation. The district uses primarily a larvacide and a surfactant to kill larvae before they can hatch; and occasionally uses a fogger at low concentrations. Fogging is done late at night to avoid killing beneficial insects. 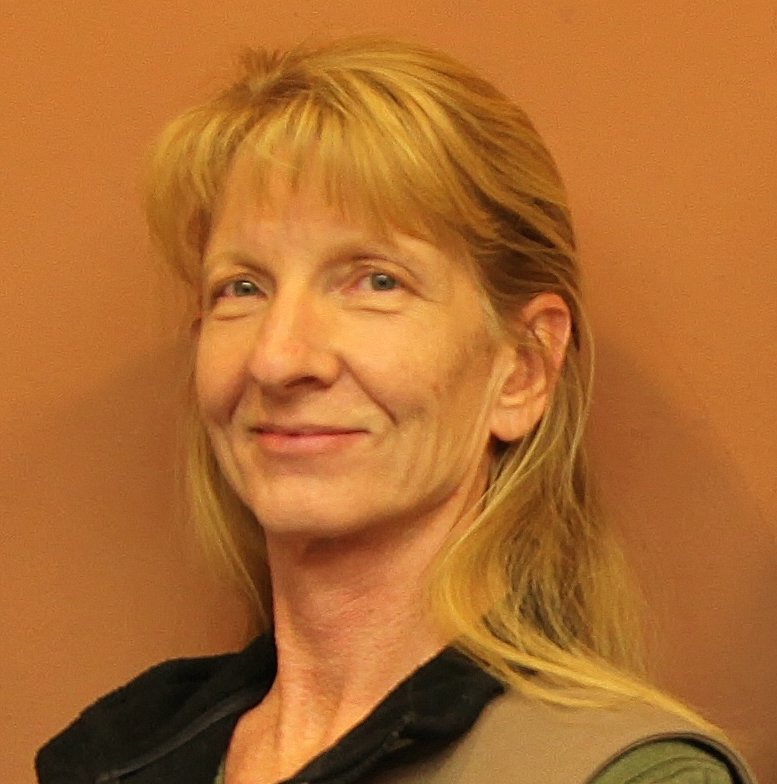 “One of the hardest things for us to do is educate the public about mosquito abatement,” Amodt said. “We have found some mosquitoes that would potentially carry (Zika) virus in our district,” Amodt said. Amodt reiterated that the Zika virus is not present in the county and that the district is continually testing to make sure the mosquito species which carries it does not get established. The district’s extensive monitoring program helps ensure the disease-carrying mosquitoes don’t thrive. In Clark County, Nevada, seven cases of Zika virus have been confirmed, most recently on July 5, Southern Nevada Health District officials said in a press statement. All cases are in patients that have traveled to areas of the world where the Zika virus is active. Anyone who is concerned they may have been exposed to Zika virus, and who has traveled to an area where the virus is circulating, should consult with a health care provider. Confirmed cases and case counts in Clark County are posted on the Southern Nevada Health District website. West Nile virus can cause a very serious encephalitis disease which causes the brain to swell, Amodt said. 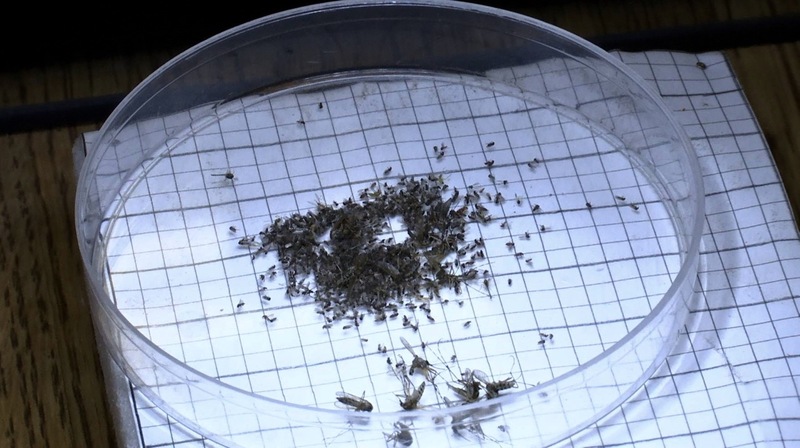 Mosquitoes carrying West Nile virus have been found in Washington County, Amodt said, but not so far this year. Typically, the disease doesn’t show up until later in the summer. “August and September are the months where it will typically show up the highest,” Amodt said. Five mosquito tests showed positive results for West Nile in 2015, compared to 13 in 2014 and 52 in 2013. While Amodt would like to think the decline in numbers is due to the district’s good work, the numbers tend to be cyclic, he said. 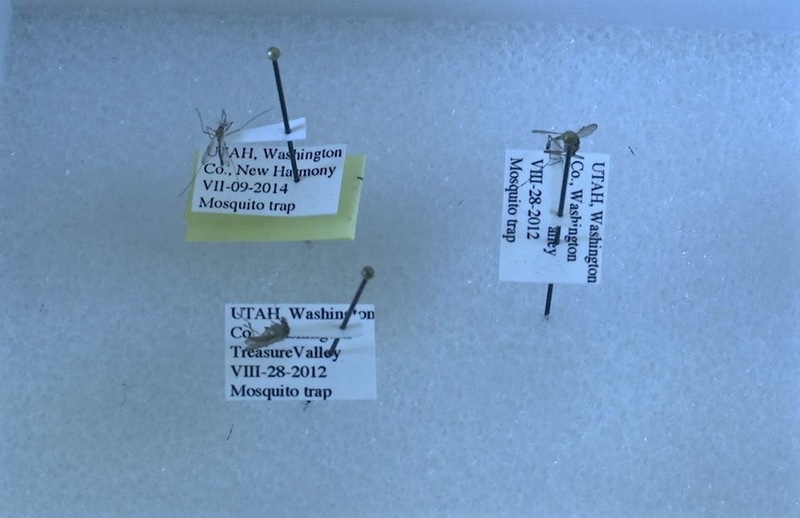 There have been no human or animal or mosquito cases of West Nile virus so far this season in Utah, Utah Department of Health epidemiologist Louise Saw said in an email. Last year, Utah had eight cases in humans, but none of them were in Washington County. “The last time there was a human case in Washington County was in 2013,” Saw said. Most people infected with West Nile virus will never develop symptoms although a small percentage of infected people will have West Nile fever symptoms such as fever, headache and body aches. A more serious and potentially fatal form of the disease is West Nile neuroinvasive illness which can occur when the virus infects the central nervous system. People with this form of the disease will have high fevers, severe headaches, neck stiffness and mental confusion. No West Nile virus-positive mosquitoes have been identified this season in Clark County, either, the Southern Nevada Health District officials said in a press statement. The Southern Nevada Health District’s mosquito monitoring program has identified a sharp increase in St. Louis Encephalitis-positive mosquitoes. Currently, 4,787 mosquitoes have tested positive for the virus. While there have been no reports of human cases of St. Louis Encephalitis in Clark County since 2007, the increase of the virus in mosquitoes raises concerns. Updated information will be posted on the district’s website. “This increase in St. Louis Encephalitis-positive mosquitoes serves as an important reminder to our community that we do indeed have mosquitoes in Southern Nevada, and it is important for people to take steps to eliminate breeding sources and to protect themselves from mosquito bites,” Dr. Joe Iser, Chief Health Officer for the Health District, said in a press statement. Most people infected with St. Louis Encephalitis virus may not even notice or may get only mild symptoms. However, some people may develop a more serious form of the disease. Children and especially the elderly are more at risk for complications, Iser said. The mild infections are characterized by fever and headache. Symptoms of more severe illness can include dizziness, nausea, stiff neck, confusion, tremors, coma, and in rare cases long-term disability or death. There are several measures people can take to avoid getting bitten by mosquitoes, Amodt said. Using an insect repellent that contains DEET and avoiding times when mosquitoes are active such as early morning and evening are important. “Anytime you’re down around the water, the river, walking paths, just make sure you either wear bug spray or wear clothes that cover up your skin,” Amodt said. 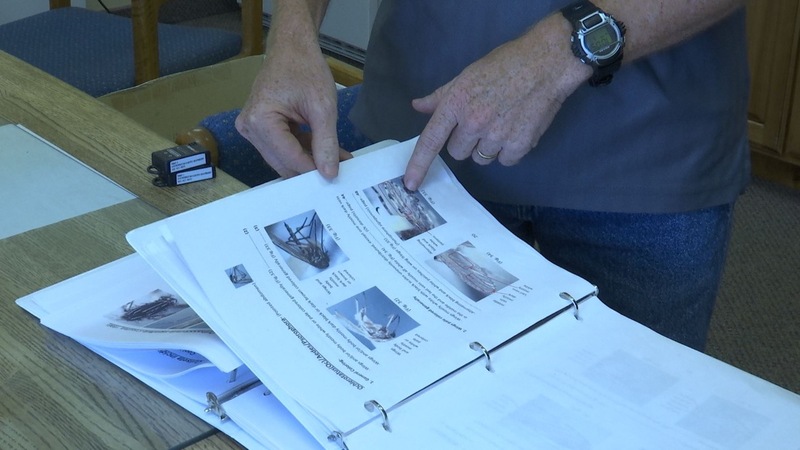 Products containing picaridin or IR3535 as well as some natural oils can also provide protection, according to the Utah State Extension Office. The biggest thing residents can do to reduce the mosquito population is to make sure there is no standing water around their homes. “That’s the biggest problem we have, we can’t look in everybody’s back yard,” Amodt said. Mosquitoes only require a little standing water to breed, and they breed quickly in hot weather, Amodt said. If water is left standing for 24 hours, mosquito larvae will be present. After three days, mosquitoes will be hatching out. Turn over or remove containers in your yard where water collects such as old tires, potted plant trays, buckets, toys, old bottles and cans, etc. Clean out birdbaths and wading pools often. Adding a pump to a garden pond will prevent mosquitoes, as will mosquito-eating fish including common goldfish. If you don’t have a pump, water can be treated using “mosquito dunks” which can be found at hardware stores and last up to three months. Mosquito dunks contain a bacterial larvacide that is specific to mosquitoes. Repair door and window screens if torn at home and on campers, tents, and boats. Keep weeds and tall grass cut short; adult mosquitoes look for shady places to rest during the hot daylight hours. Updated July 9 with statement from Rep. Chris Stewart.